The Washakie County Conservation District (WCCD) has cost-share dollars to help fund individual septic systems that may require renovations to minimize the probability of surface water contamination. 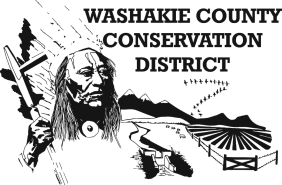 The WCCD is offering $3000.00 as an incentive to qualified residents of Washakie County for non-functioning or inadequate septic systems, on a voluntary basis. The WCCD is being proactive and offering this voluntary cost-share program for the landowners before any violations from Wyoming Department of Environmental Quality (WDEQ) are issued due to the threats and impairments of our listed streams. This is an opportunity to voluntarily get your septic system up to code with monetary assistance. Once WCCD receives the Septic System Cost Share Application and Self Assessment form, an on-site evaluation will be scheduled with the applicant, then evaluation results and application information will be provided to the WCCD Board of Supervisors to be reviewed during a monthly board meeting. Grant selection and payment decisions will be made by the WCCD Board of Supervisors during their monthly board meetings, which are held on the 3rd Monday of each month.